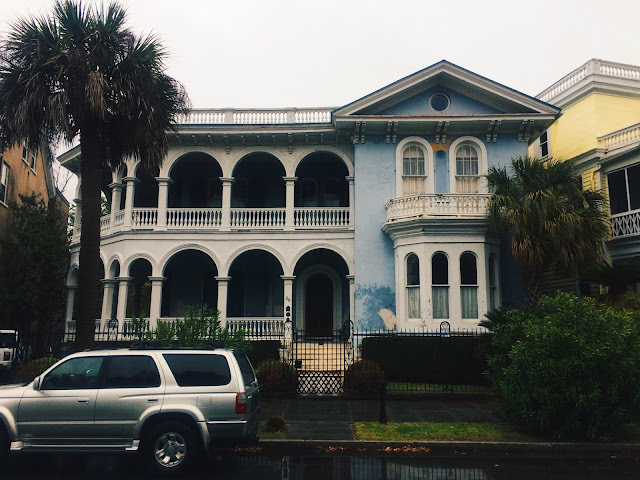 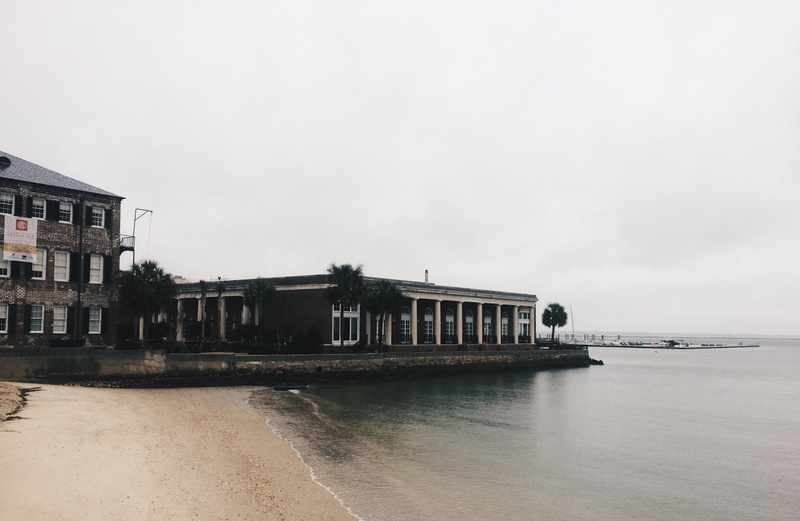 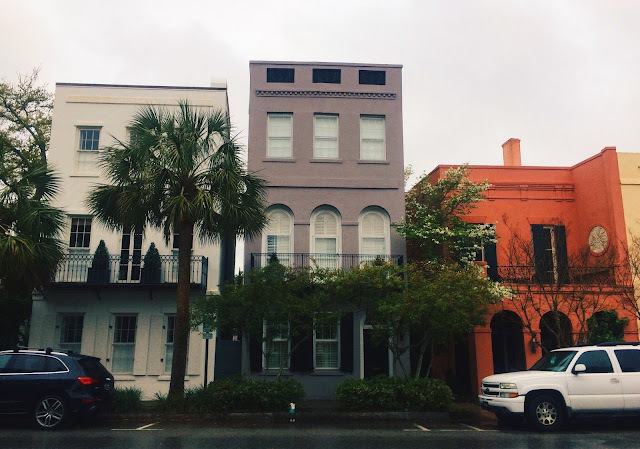 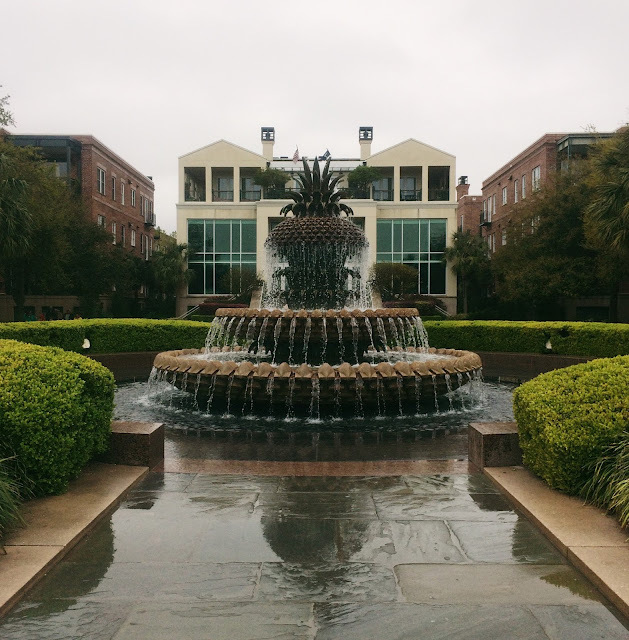 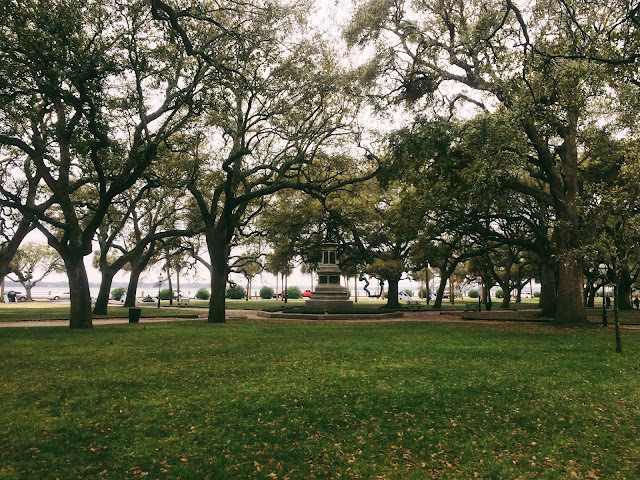 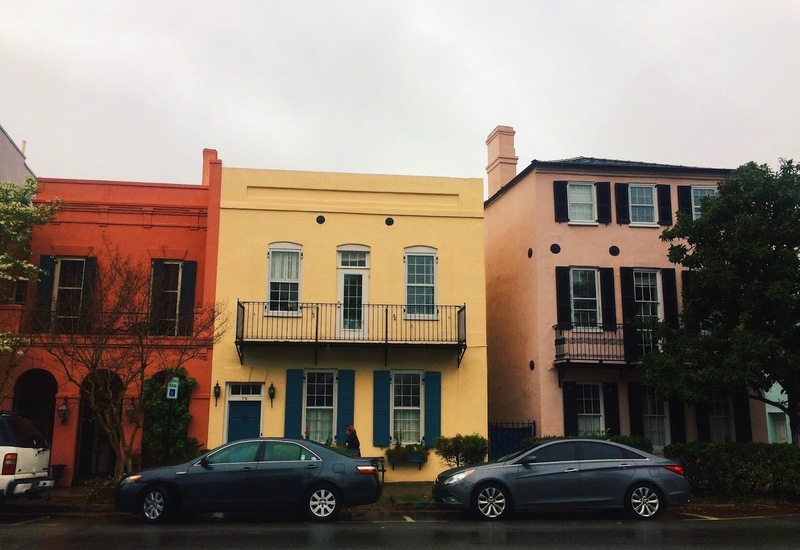 As previously mentioned, our first day in Charleston was full of rain and clouds, so my pictures came out gloomy and overcast. 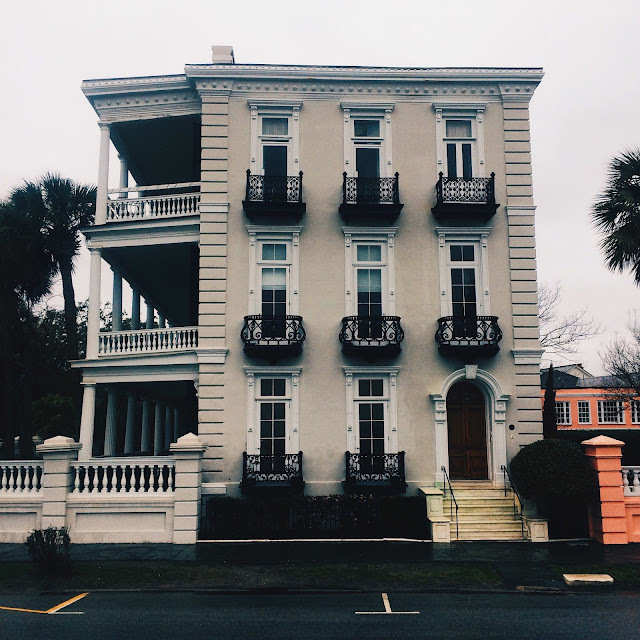 Even so, I took many, many photos of the homes and buildings - so many that I felt it necessary to put them in a separate post if only for browser loading's sake. 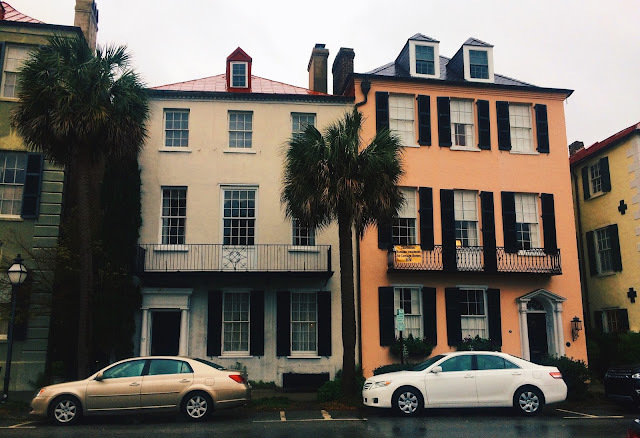 The above photos are all from Rainbow Row and the streets between Waterfront Park and the Battery Park. 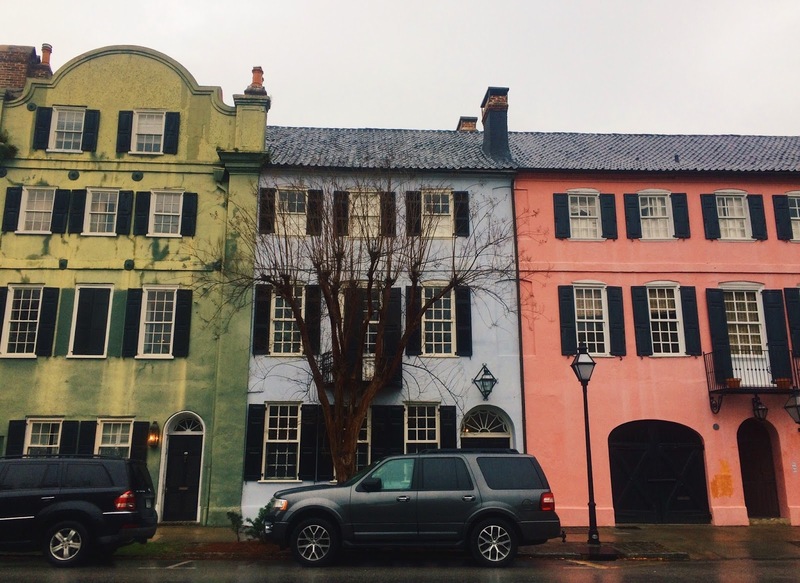 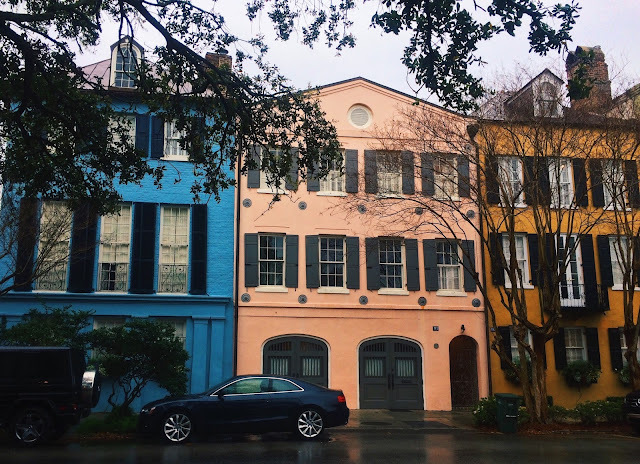 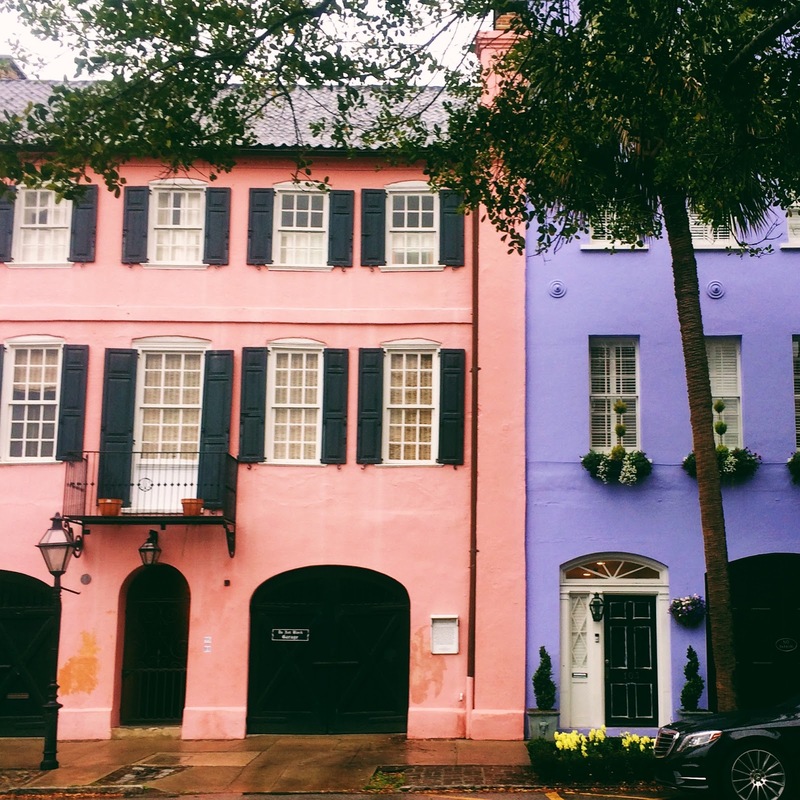 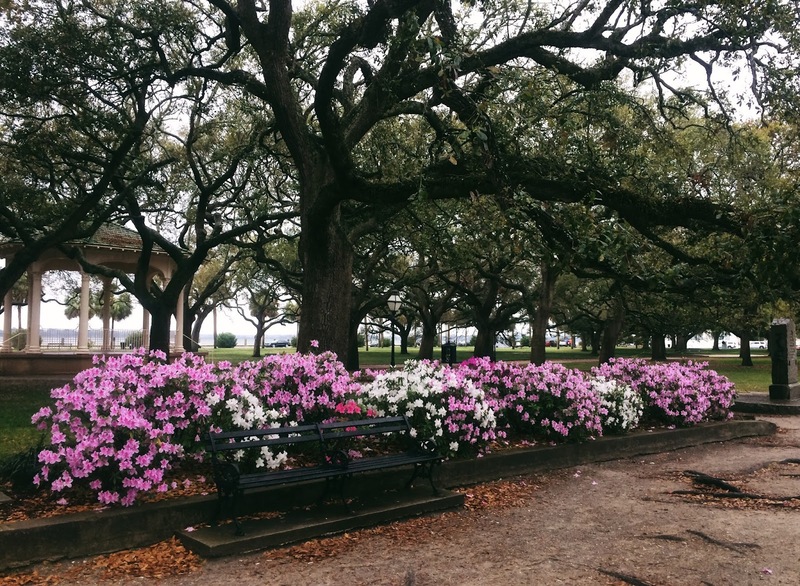 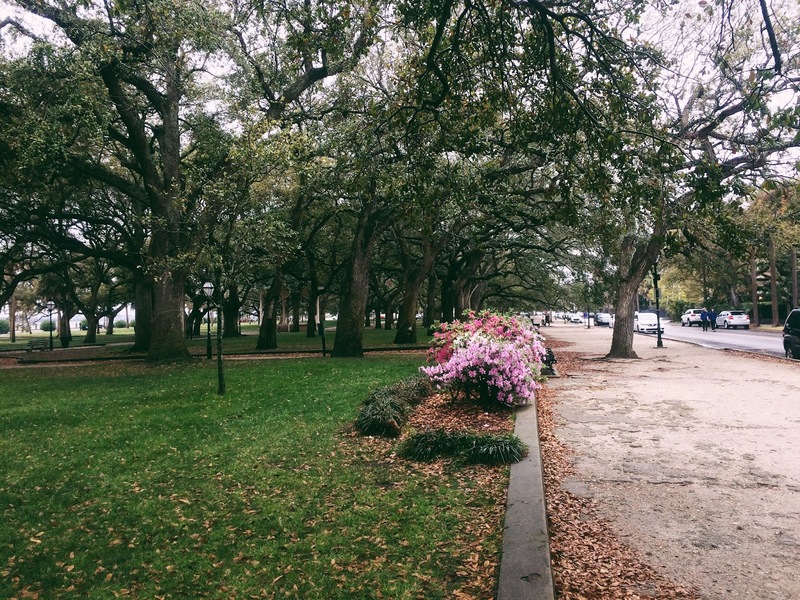 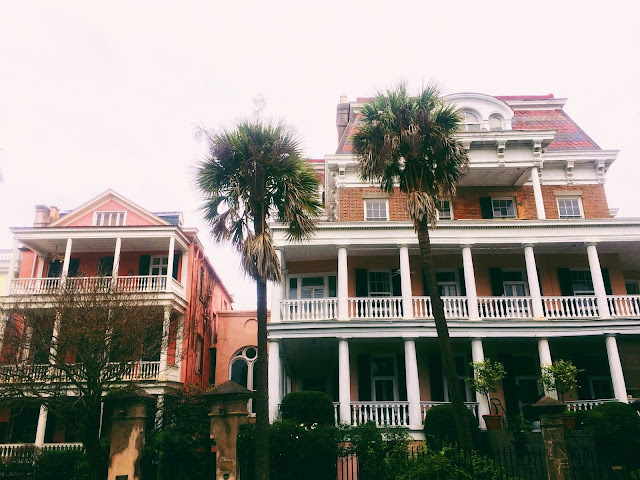 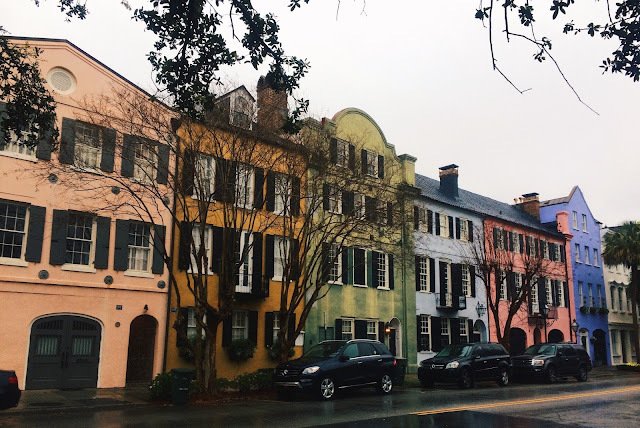 Given the above evidence, it's no wonder Charleston is such a popular destination for travelers in the spring, as the parks are full of beauty with all the flowers out in bloom and the sweltering summer heat hasn't quite settled in.